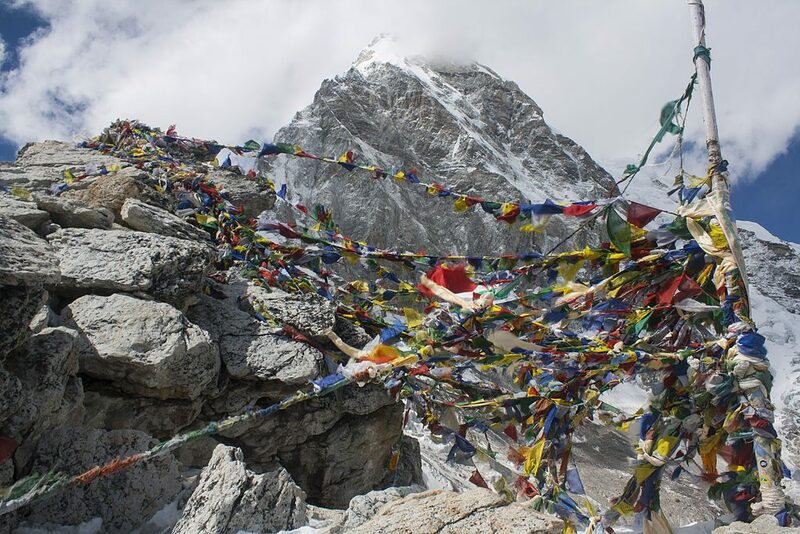 The iconic trek leading to The Everest Base Camp is a trek many people desire to accomplish. The awe-inspiring view of glaciers and of enchanting mountains is something that everyone should experience. 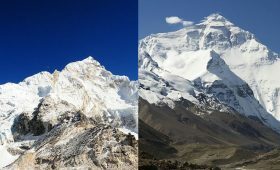 It does attract a lot of queries because of its popularity and Everest Base Camp Trek distance is the most common one. Definitely, the route you take does influence the Everest Base Camp Trek distance. 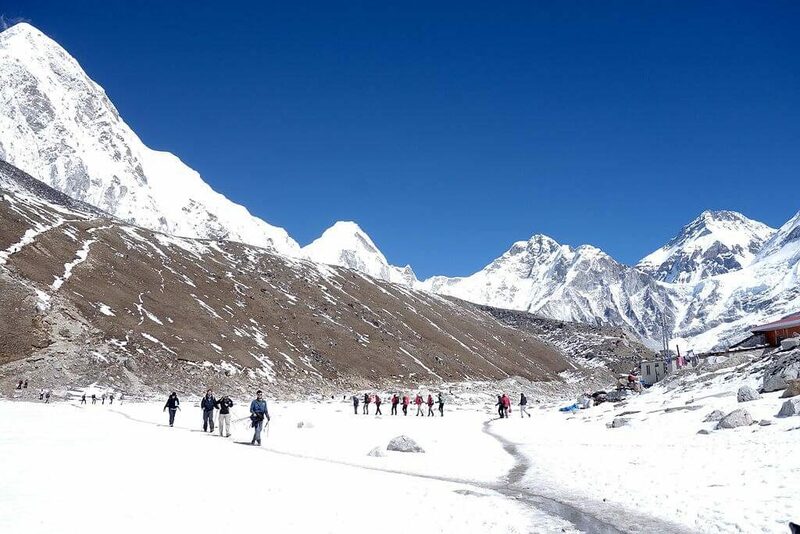 Everest Base Camp Trek via Gokyo Lake – 18 Days, Everest Base Camp Trek with Island Peak – 17 Days are some options that take you to the Base Camp. 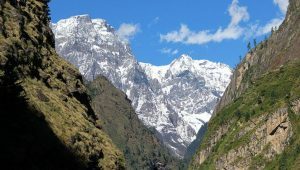 The Everest Base Camp trek provides an opportunity for trekkers to experience nature at it’s finest. The lush green forests, incredible rivers, and charming small streams along the way make the whole trek a blissful experience. Everest Base Camp (5,364m) is also regarded as one of the more difficult treks in the mountains of Nepal. 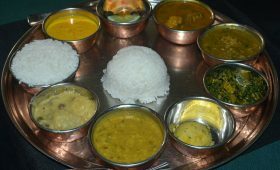 In addition to its beautiful landscape, it allows trekkers to immerse themselves in the local ethnicities and cultures. The total distance of the trek starting from Lukla and back is 130 km. So, the distance from Lukla to The Everest Base Camp is 65 km both ways. The Everest Base Camp trek is quite a long one and a little difficult too. The trek may seem like very long but the trek has been strategically designed to make it easier and enjoyable for the trekkers. It all depends on the itinerary that you choose. You will most probably be trekking 5 to 6 hours each day with some days in between set out for your acclimatization. On the first day of the trek, you land at the amazing Lukla airport after your flight from Kathmandu. The airport is one of a kind as it stands on top of a hill with snow-capped mountains surrounding it. And as you look down your heart might skip a beat as you lay your eyes on the incredible valley below. On the first day, you will be trekking from Lukla Airport all the way to Phakding. The trek then continues as you make your way to the famous Namche Bazaar. On the route to Namche Bazaar, you will get the chance to trek through the Sagarmatha National Park. The park falls on the route and is a beautiful trail. Diverse landscapes and amazing lush forests greet you every step of the way. In addition to those, small charming streams and waterfalls all along the trail will surely make for a dreamy walk. The third day you will be staying at Namche Bazaar for acclimatization. But, if you are short of time then allow us to work on shorter packages to suit your needs. 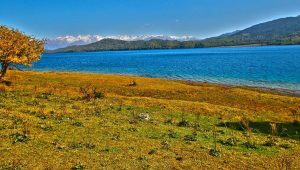 This will allow you to continue your trek without the acclimatization. But, you should probably choose to stay at Namche Bazaar as it is a place which most people find quite enchanting. The amazing mountain town is full of local cultures and ethnicities which are very interesting. Along with that the view from the town of the mountains and the landscape is truly breathtaking. Making your way out of Namche Bazaar you will be heading to Tengboche. This trek from Namche to Tengboche is quite easy and relaxing. 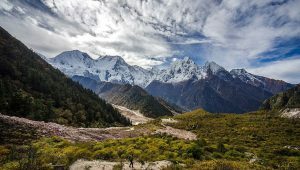 En route to Tengboche, you will get to see Lush green forests full of rhododendron if you are trekking in the spring( March to May). You will also get to see the largest monastery in the Khumbu region which is The Tengboche monastery. 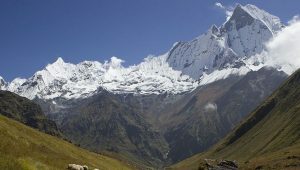 From Tengboche, you will be trekking to Dingboche which stands at an altitude of 4,360m. The trek is an easy one as you will be trekking for about 6 hours and covering a distance of 12 km in total. Your trek continues as you start making your way to Lobuche from Dingboche. The trek takes you through beautiful routes with the view of the enchanting mountains always a glimpse away. 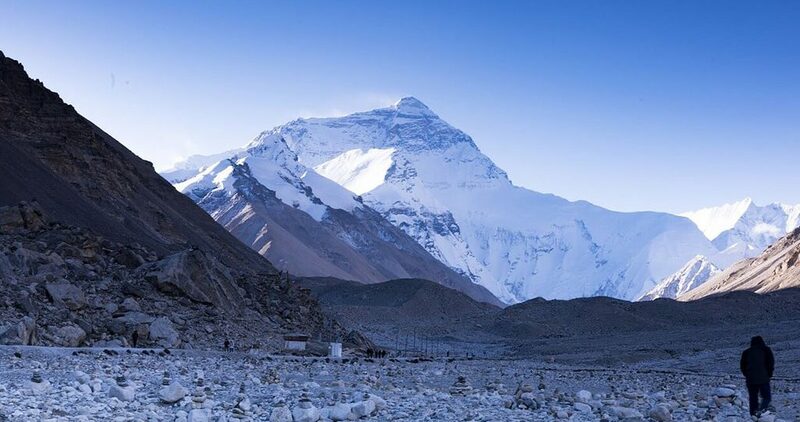 On this day you either will be resting and acclimatizing or will be trekking to Gorak Shep and end your wait as you trek all the way up to the Everest Base Camp. The Everest Base Camp is an awe-inspiring place. Surrounded by mountains and a crisp view of the landscape, it is spectacular. The trail is totally worth it. The emerald view of mountains will surely leave you in awe. Kala Patthar is a very popular destination for trekkers. The point provides panoramic views of Mt Everest, Mt Nuptse, Mt Chagatse, Mt Lhotse and the Pumori among many other peaks. On this day you will be heading back to Namche Bazaar from Pheriche. If you had missed a tour of the town, well take this day to do so. From Lukla, you will take a flight back to Kathmandu and get to see the mountains from a different point. The Everest Base Camp trek does cover a long distance. But, you will be trekking for a certain period of time to cover a certain distance throughout the day. The strategically planned distance makes your treks a lot convenient and easy. Reaching the Base Camp of this majestic mountain is amazing. We make a gradual move so you will enjoy every distance you cover. If you have any queries regarding the trek or want to book it feel free to contact us.